In your member area on the left menu is a VERY IMPORTANT section called MONEY MAKERS section. There we post opportunities, tools, resources and more to help you earn. If you have not spent time in that section be sure to do so. 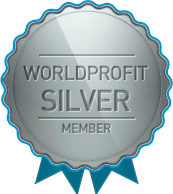 All Silver and Platinum VIP Members get the Money Makers program included in their Membership. This video highlights how you can make a generous amount of money using one of the top Money Makers in the promo kit called "JV Zoo". It's one of our favourites! !